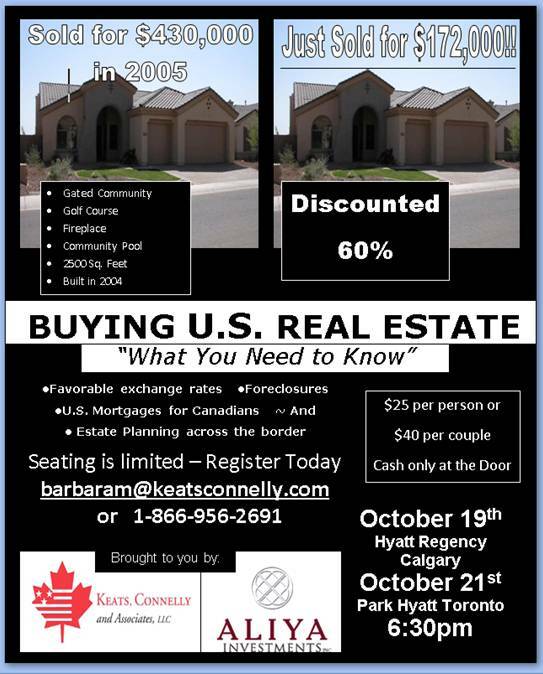 If you are interested in buying U.S. real estate, Keats, Connelly and Associates will be holding seminars on U.S. real estate investing. Dale Walters of Keats, Connelly and Associates will be speaking at seminars in Calgary and Toronto. The topic is What you Need to Know When Investing in Arizona Real Estate. He will be at the Hyatt Regency Calgary on Monday, October 19th and the Park Hyatt Toronto on Wednesday, October 21st.